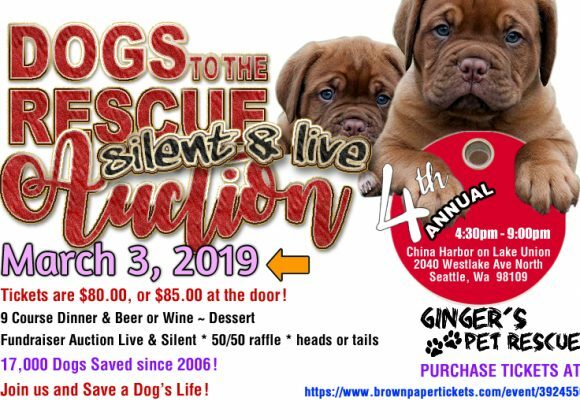 Save the Date – Dogs to the Rescue! From 4:30 p.m. to 9:00 p.m.
Join us to allow us to help keep rescuing dogs! For sponsorship opportunities, please contact dottiechin@yahoo.com.